The US dollar was on the back foot, suffering losses of various degrees across the board. The upcoming week features US durable goods orders, updated GDP reads from the UK and the US as well as the Jackson Hole Symposium. Here is a guide to the key events of the upcoming week. US New Home Sales: Tuesday, 14:00. The figure reached 5.57 million (annualized) in June. A similar figure of 5.55 million is projected. German Ifo Business Climate: Thursday, 8:00. Durable goods orders: Thursday, 12:30. Headline orders are predicted to rise by 3.5% after a slump of 3.9%. Core figures are also expected to bounce: a rise of 0.4% after a slide of the same scale beforehand. UK GDP: Friday, 8:30. The strong growth in the Spring is expected to be confirmed in the second read. The bigger speculation is about the third quarter, post-Brexit. US GDP: Friday, 12:30. The first release of Q2 2016 GDP was very disappointing. Note that the market impact is not as strong as the first release. Janet Yellen talks: Friday, in the European afternoon. Last edited by 1Finance; 08-20-2016 at 08:37 AM. 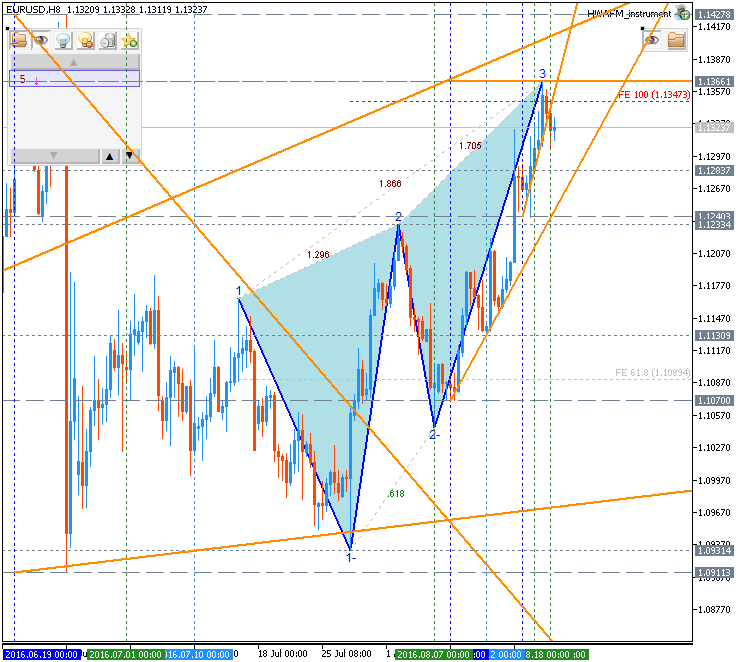 1.3022 support level located near and above Senkou Span line in the beginning of the bearish trend to be started. Absolute Strength indicator is estimating the ranging market condition to be continuing. If H4 price breaks 1.2865 support level on close bar to below so the price will be reversed to the primary bearish market condition. 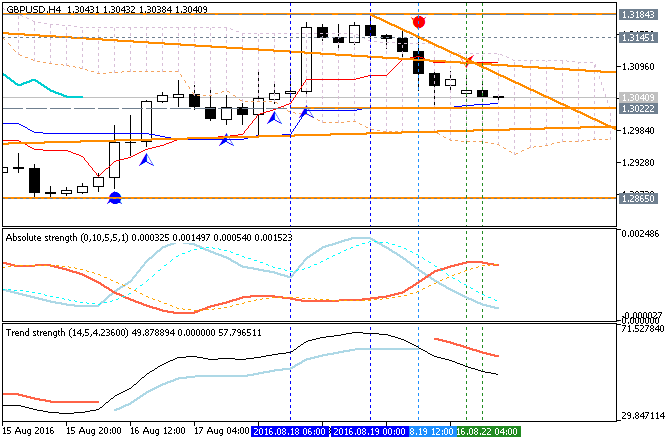 If H4 price breaks 1.3184 resistance level on close bar from below to above so the bullish trend will be resumed.